People who are regular jailbreakers tend to have their favorite apps and tweaks in mind when setting up a new device, and invariably one of those tweaks is IntelliScreenX. A hugely popular jailbreak tweak, IntelliScreenX by the folks over at Intelliborn has been around in various guises for quite some time, and it’s one of the tweaks that we here at RP like to keep an eye on. It’s also one that you like to know all the latest news about, which is why we thought you’d like to get the skinny on what when a new version of the original Notification Center-like tweak will be available. 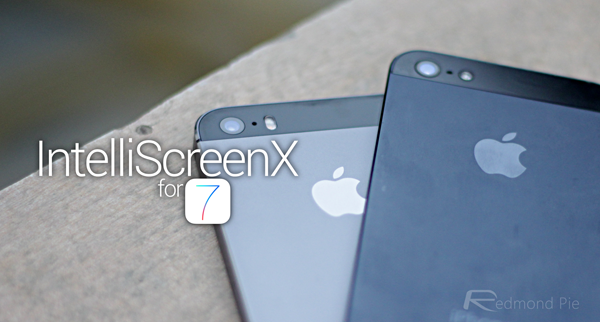 According to a tweet this morning by the fine folks at Intelliborn, the much anticipated IntelliScreenX 7 will be released in beta form for iOS 7 users as soon as next week, meaning that we should finally see what will make us rush to download the tweak as quickly as our little fingers will carry us. If this update is anything like the versions of IntelliScreenX that have come before it, then we’ve no doubt in our minds that this is going to be something pretty special indeed. For those that are new to the jailbreaking scene or have simply somehow managed to carry in blissfully unaware of the magic that is IntelliScreenX, the tweak takes Apple’s Notification Center and gives it a shot in the arm. Once installed, IntelliScreenX makes it possible to perform all kinds of wonderful actions right from within Notification Center and the Lock Screen, making it considerably more powerful than the stock option. New tabs that can house things like Twitter and Facebook streams are also part of what makes IntelliScreenX so useful, and we’re sure the folks at Intelliborn are beavering away trying to give us even more powerful options too. There’s currently no concrete information on when IntelliScreenX 7 will exit the aforementioned beta for a stable public release, but if you do try the pre-release version (likely available on developer’s repo next week) then please do let the developer know when you encounter bugs and issues – it will only help speed up development and get the final version ready for those not brave enough to venture into the world of beta jailbreak tweaks just yet.